Be a married, 61-year-old American man with impeccable eyesight and a degree from Harvard University. You should also shave regularly*, as this chart from BBC Future clearly shows. 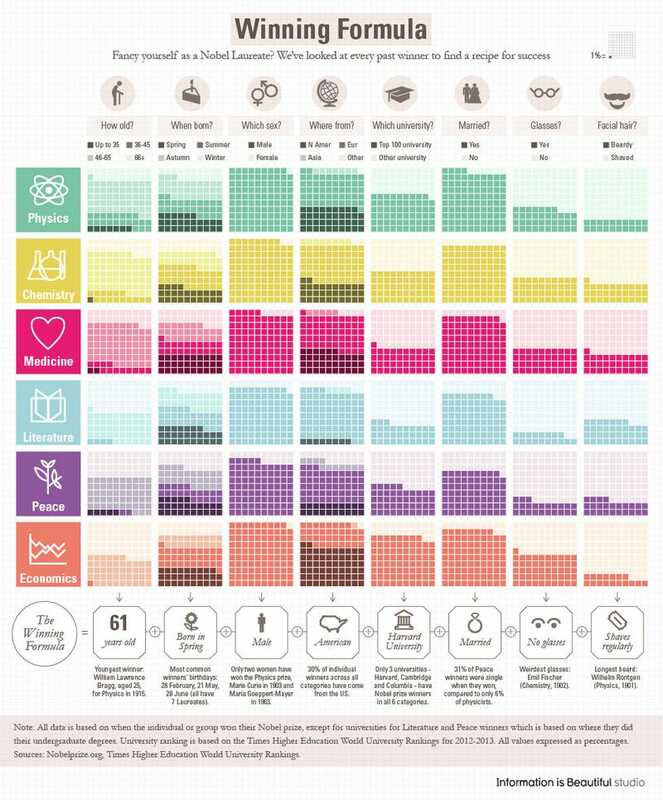 More analysis, along with the data used to create this infographic, at BBC Future. *Unless you're a physicist. German physicist Wilhelm Röntgen, whose discovery of X-radiation garnered him a 1901 Nobel Prize in Physics, is said to have had the longest beard of any Nobel laureate. More importantly, though, beards and physics have something of a history together (they go together like quarks and antiquarks).